Estonian International Sander Puri has become the latest Blues player to commit for the 2018 season, having signed a new one year deal with the club. Puri, who is comfortable in a variety of forward roles, played a big role at the start and at the end of the 2017 title winning season for the Blues. He suffered a setback early last season when he suffered a foot injury during training but bounced back to put in a number of standout performances during the run-in to earn himself a new contract. “I’m pleased to have re-signed with Waterford FC for the new season. I had a bad injury this year and I couldn’t help the club as much as I would have liked because of that but hopefully in 2018 I can make a bigger contribution. 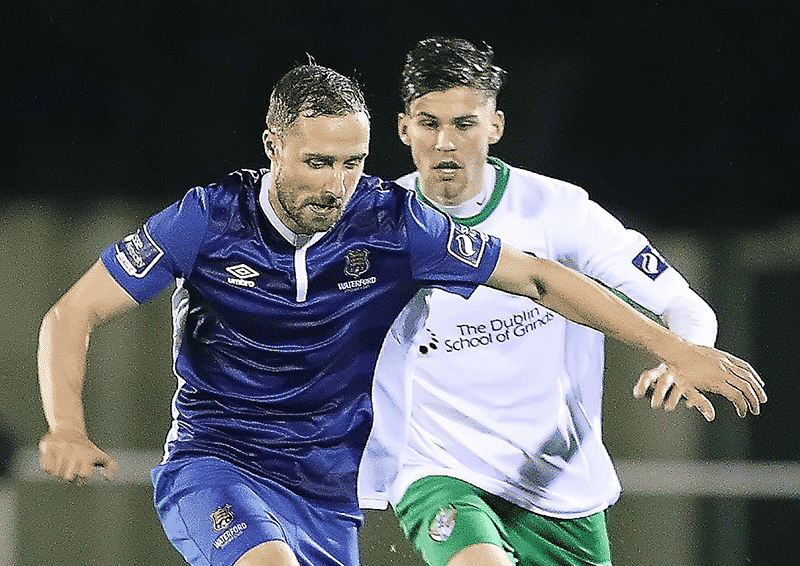 Waterford FC First Team Coach Alan Reynolds has been suitably impressed with Puri’s comeback from injury and the form shown in 2017 on the field. “Sander showed great determination to fight back from injury in 2017, putting in a number of eye catching performances during the run-in.